CAPES [something empowering] העם ההלכים בחושך ראו אור גדול The people that were walking in darkness had seen a great light. COFFEE [latest trend or addiction] I have the circulation of a 90-year-old woman. 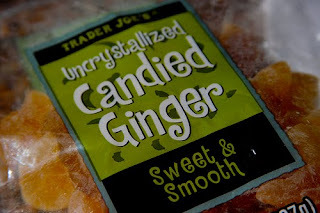 To get the blood flowing, I’ve taken to eating 1-2 pieces of candied ginger per day. Not only does it help your circulation (source), but it also freshens your breath. THE COLOR ORANGE [something noteworthy] Keep your vitamins in a place where you’ll remember to take them everyday. I have them next to my ground espresso.